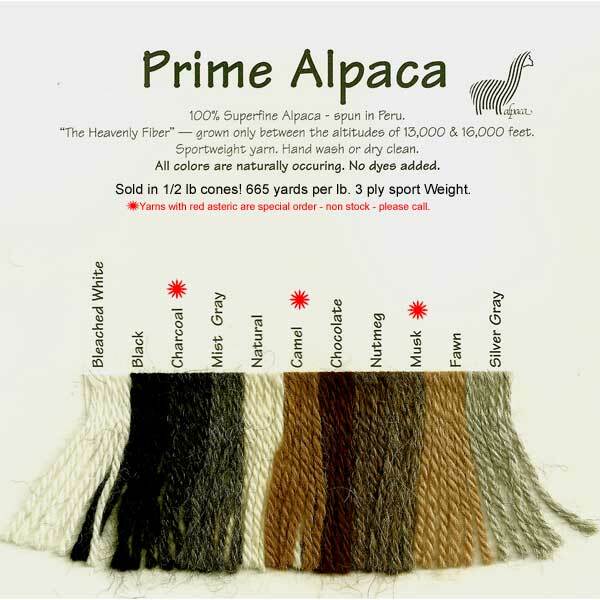 This 100% Superfine Alpaca. Natural Color-Scoured-Spun in Peru yarn is a 3-ply - sport weight that is ideal for scarves, shawls, garments any place where you want a little luxury! Knitters find it excellent for baby items & lace knitting. Each 8.5 oz cone is approximately 660 yards. The gauge = 28 st / 4" (7 st/1") using US #1 (2.25mm) needles.